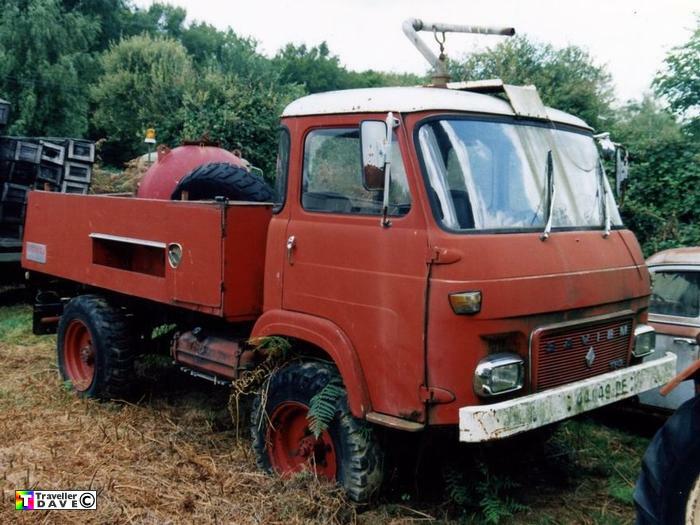 44649DE Saviem TP3 . 4x4 Occifeu Foam Canon . Ex-French Pompiers . Seen 22.7.99 Clidier (36) Indre . France . Fitted with a petrol 4cyl. 817 2.6L engine .